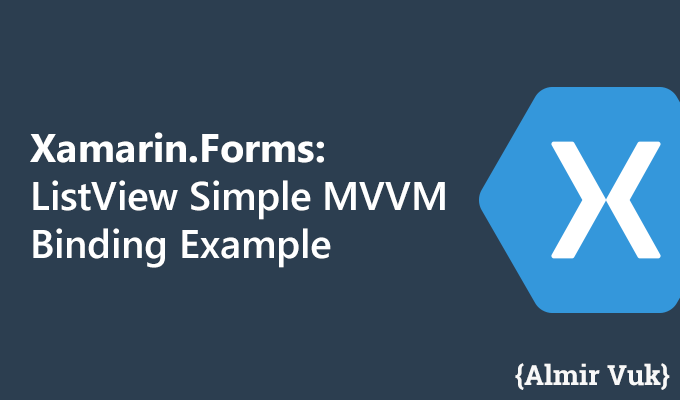 Continuing this series of simple MVVM bindings in Xamarin.Forms. 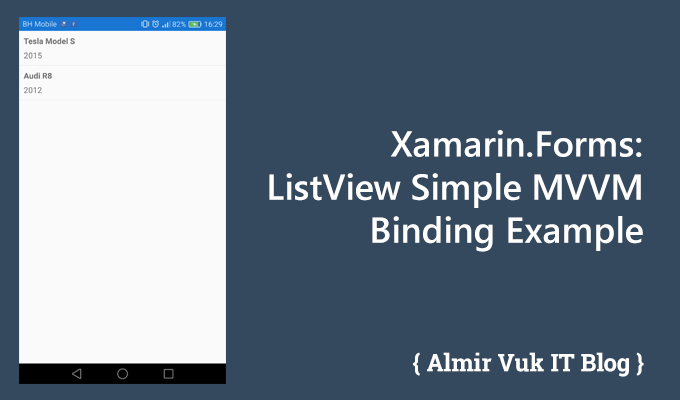 In this tutorial I will make simple ListView binding in XAML. 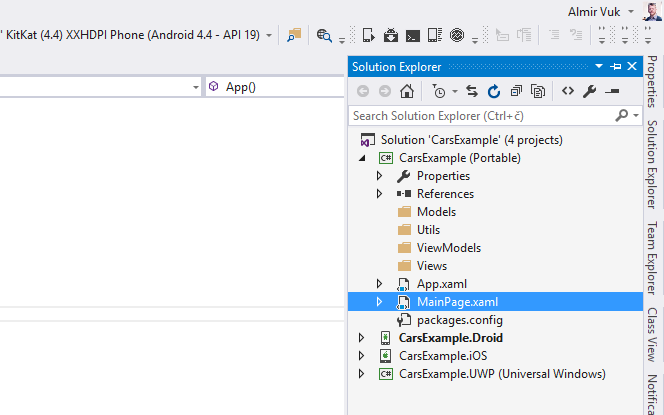 Run your Visual Studio and create new Xamarin.Forms project, add Views, Models and ViewModels folders. This will be simple one page app with ListView as a main control on the page/view and we will demonstrate how to make simple MVVM binding in ListView. Scenario for this demo is: At constructor of ViewModel we will set some default values, and after couple of seconds using web services we will "grab" some other data and store (update) it in our list, and all of this will be inside of our view model with zero lines of code in code-behind file of our view/page. For this example I will use Xamari.Forms PCL for Core of the App. And for hosting simple API for my HTTP GET calls I will use free service called myjson.com it is very nice and handy for tutorials or small testings. In Models folder now I will add simple class "Car" with three properties: CarID, Make and YearofModel. As you can see we have very simple page with list view in it, list view has ItemTemplate and DataTemplate in side of it. ListView controls is binding to Items of type ObservableCollection and the data in side of list view will be binding to the properties of the class Car to the two properties Make and YearOfModel. If this is little confusing for you I suggest you to take a look at my early tutorials about bindings and hope that will be helpful for you. Now when we have this page we need a view model which we will make logic for updating the list data and we need view model in order to follow MVVM rules in our app. Maybe in future I will make my own blog post about why to use MVVM and for now I suggest you to take a look at this great answers on Stack Overflow. Why use MVVM? In that blog post I am explaining the INotifyPropertyChanged and OnPropertyChanged in more detail way, and ObservableCollection is already implementing the INotifyPropertyChanged, so on Add, Remove... INotifyPropertyChanged will be triggered and UI will be updated. INotifyPropertyChanged is interface which this view model class will implement and it have OnPropertyChanged method which we will be calling on the spots where we are updating the data and OnPropertyChanged method will be changing the value of our controls with zero of code in the code behind classes. If you have any issue with HTTPClient you can solve this by adding Microsoft.Net.Http nuget package in your project PCL. I will make a gif demo for this app, so you can see here how it will look like when you run it on your pc and device. As you can see on the gif down bellow there is a list of default values after couple of seconds list is updated and all that from our view model with minimum of lines of code at the code-behind. Hope that this tutorial was helpful for you in your process of development or learning Xamarin.Forms, if it is share it with your colleagues and good luck with development. Almir, thanks for spending the time doing this. Nice tutorial. 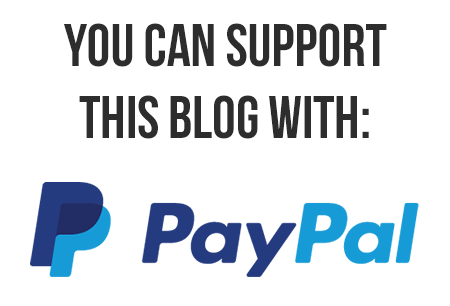 Thank you for the comment I am glad that this blog post was helpful for you! Thanks for tutorial, very goof. 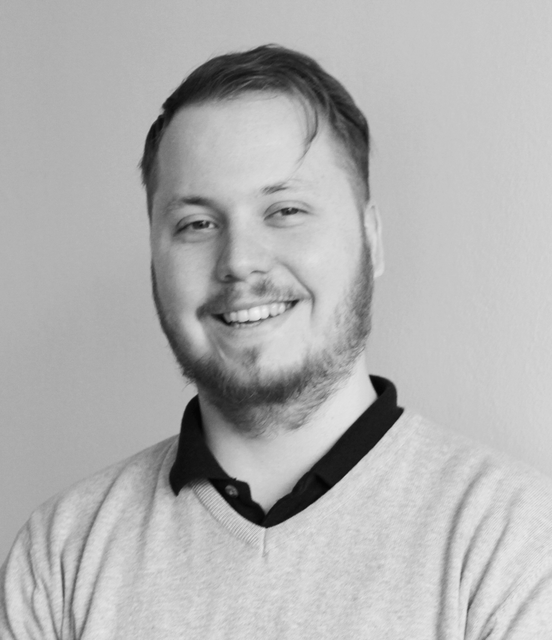 Reading "https://developer.xamarin.com/guides/xamarin-forms/enterprise-application-patterns/" I very confuse about navigation between ViewModel, so I hope that your next tutorial regard this argument. You mean, "very good"... or? Hello, I am trying your sample and I get this warning from Visual Studio: "Because this call is not awaited, execution of the current method continues before the call is completed. Consider applying the 'await' operator to the result of the call". It is just a warning, so the code compiles right. But the execution in my case fails. Although the 2 default values show correctly, the 3 values supposed to be retrieved from the API never show in the screen. Do you think there could be some deadlock the code is incurring in? Thank you in advance and also for the post. Can you post your code snippet from ViewModel, so we can see where the problem is. I had to add the "public event Property..." so the code compiled, otherwise it said that CarsViewModel didn't implement interface member INotifyPropertyChanged. So once I added this extra line, the code compiles right, but never shows any entry in the list. If, trying another way, I remove the ": INotifyPropertyChanged" from the definition of CarsViewModel (and then don't need the former extra line), the the code compiles right again, show the two default values, but never shows the values to retrieve from the API url. Have you tried to debug your app just to be sure that you fetch the data from api? I will thank you. I think somehow the data are not being fetched. any alternative for me ? What exact problem you have, can you explain it more, did you try to run the code example from github? I know it's not about the topic, but I didn't find anything on the Internet, so I would to ask you if it is possible to create a Grouping Enabled ListView without using MVVM? Because I don't want to use MVVM. Other question: it's correct to use MVVM structure just in some pages of my app? Like this one with Grouping Enabled? Yes, it is, Grouping in ListView is separate from MVVM. Follow this tutorial and don't use ItemsSource Binding to your list in ViewModel, you can set the ItemsSource of your ListView from code-behind class. Yes, that tutorial helped me a lot, like your tutorial. And I had discovered too, that I can still use ObservableCollection in my code-behind, puting the ObservableCollection to ItemsSource, and not use View Model. Tested and it worked! This works great for me on an Android emulator but not on ios (live player). Is anyone else having this issue?